Ng, A. Y., Jordan, M. I., & Weiss, Y. (2002). On spectral clustering: Analysis and an algorithm. In Advances in neural information processing systems (pp. 849-856). Von Luxburg, U. (2007). A tutorial on spectral clustering. Statistics and computing, 17(4), 395-416. Saerens, M., Fouss, F., Yen, L., & Dupont, P. (2004, September). 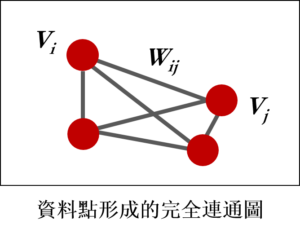 The principal components analysis of a graph, and its relationships to spectral clustering. In ECML (Vol. 3201, pp. 371-383). Sharma, A., Horaud, R. P., Knossow, D., & Von Lavante, E. (2009, November). Mesh Segmentation Using Laplacian Eigenvectors and Gaussian Mixtures. In AAAI Fall Symposium: Manifold Learning and Its Applications.